Jill Strachan was born in Athens, Greece, into a foreign service family that returned periodically to Washington, D.C., between stints living in many countries around the world. While a PhD student in snowy Syracuse in the late 1970s, she and her girlfriend of the time decided to move to D.C. after reading in the Off Our Backs feminist magazine about the city’s gay locations, movement, and pro-gay ordinances. After moving to D.C., she got jobs as a typist and later worked for a trade union while completing her dissertation on Richard Nixon as a representative religious American. Over the years, Jill became increasingly involved in the local LGBT arts community, serving for many years as the general manager of the Lesbian and Gay Chorus of Washington, a GALA Choruses board member, and the co-founder of the LGBT Arts Consortium. The consortium was a network of 15 D.C.-based arts organizations from 1999 to 2012, and was founded to increase communication among LGBT arts groups and artists in the D.C. area and to increase their visibility. The consortium’s innovations included establishing a small stage at Capital Pride that was more conducive to smaller community arts organizations’ performances. An annual Gilbert and Sullivan performance was another memorable hallmark. The Lesbian and Gay Chorus of Washington was a mixed chorus, which was rare among LGBT choruses, particularly for those involved in the GALA Chorus organization. The Lesbian and Gay Chorus of Washington initially had difficulty recruiting men, but the members it did attract were staunch advocates of women’s representation, inclusivity, and consensus-based decision making. The members sang for different reasons, such as the close community or to translate diverse experiences to new audiences, but Jill says she sang partly to be visible and because she was “angry, angry that so many young people were dying of AIDS and no one seemed to care.” Unfortunately, with the multitude of new options for gay socialization, the group dissolved in 2010. Beyond Jill’s extensive involvement in the arts community, she volunteered with organizations like SMYAL, serving on its Board of Directors, as well as Food and Friends, delivering food to HIV/ AIDS patients throughout the city after being inspired by the agitation from the ACT UP group and the March on Washington in 1987. During her time on the SMYAL board, Jill organized many successful fundraising efforts and participated in important discussions on the psychological ethics involved with directly serving children, and the importance of influencing the D.C. school board. After resigning from SMYAL’s board in 1993, she wrote a successful grant that funded the organization’s first full-time social worker. 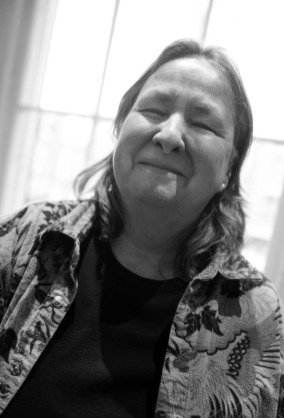 Jill has served as the Executive Director for the Capital Hill Arts Workshop since 2007. In this organization and in others, Jill has been proud to build a sense of community, as an “important stepping stone to peace and the world [and] because it increases the understanding we have of others… it breaks down stereotypes.” When not working at Capital Hill Arts Workshop, Jill enjoys singing soprano in a small a capella group, “Not What You Think,” playing and watching tennis, walking her dogs, reading, and making pies. She lives with her partner, Jane Hoffman, on Capitol Hill.